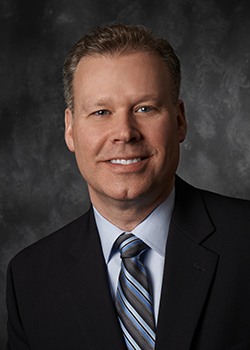 Jim Bittner is the new general manager for the Barberton facility at Babcock & Wilcox Nuclear Operations Group, Inc. (B&W), replacing Reese Foote who retired after 42 years with the company. “We are fortunate to have someone of Jim’s experience who can assume the leadership role of this very important facility following Reese’s departure,” B&W Chief Operating Officer Joe Henry said. “Jim is the ideal person to be leading the 700 dedicated professionals we have working to support national security at our Barberton facility. Bittner has held several positions during 26 years with B&W, including manufacturing engineer, manager of engineering and technical services, manager of welder engineering, and manager of B&W’s operations and welding engineering. He holds a bachelor’s degree in mechanical engineering from the University of Dayton. Want to get notified whenever we write about Babcock & Wilcox ? Next time we write about Babcock & Wilcox, we'll email you a link to the story. You may edit your settings or unsubscribe at any time.